E-commerce giant Alibaba has announced it will invest an additional US$2 billion in Singapore-based Lazada Group to accelerate the e-commerce platform’s growth plans in Southeast Asia. The investment will enable Lazada to tap into Alibaba’s resources to further serve consumers and empower merchants in Southeast Asia through innovative ways, a company statement said. Lazada founder Max Bittner, who has been its CEO since 2012, will assume the role of senior advisor to Alibaba Group and assist in the transition and future international growth strategies. Current Lazada chairman Lucy Peng will assume Bittner's position of CEO to drive growth strategies. 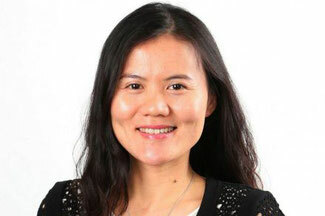 Ms Peng, who joined Alibaba in 1999 as one of 18 co-founders, is a senior partner in the Alibaba Partnership. She is the executive chair of Ant Financial (Alibaba's payments affiliate), at which she was CEO from 2010 to 2016. Ms Peng also served as Alibaba's Chief People Officer for over a decade, and was named one of the world's most powerful women by Forbes for three consecutive years since 2013. A Business Times report said that Alibaba's latest investment will bring its total investment in Lazada to US$4 billion. In 2016, it acquired control of Lazada with an investment of US$1 billion, and in 2017, boosted its stake in Lazada to 83% with an additional US$1 billion investment. “The investment underscores Alibaba’s confidence in the future success of Lazada’s business and the growth prospect of the Southeast Asian market, a region that is a key part of Alibaba’s global growth strategy,” the Alibaba statement noted. Commenting on the investment, Paul Coutts, CEO of Alibaba-backed logistics company SingPost, said: "Any investment of this magnitude can only accelerate the growth of e-commerce in Singapore and the region. We continue to focus on initiatives that unlock the full potential of the e-commerce market that these investments create, to advance SingPost's transformation into a leading Postal and e-commerce logistics company." Apart from the Alibaba Group, Singapore’s government investment firm Temasek Holdings and the Lazada management are the other stakeholders in the e-commerce firm. A research by Google and Temasek Holdings released last year found that e-commerce sales in the region will grow at a 32% from US$5.5 billion in 2015 to US$88 billion in 2025, when they will make up 6% of total retail sales.